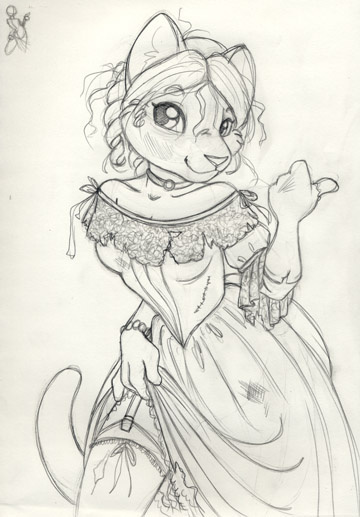 Originally Submitted to FurAffinity.net on May 5th, 2012 04:00 AM. Before it was transferred to Inkbunny it had 1092 views and 223 favorites. 1. Why did Tigerdile use flash photography ?! 2. Why are the hitchhiking ghosts all old guys? This will be my attempt at making an HM period correct female hitchhiking ghost. The trick will be coloring this in a way that gives her the same translucent feel as the attraction while using traditional materials only. No computer colors for me! And caribou was shocked too - Tigerdile knows better than to use the flash!